Since the beginning, humanity has not only been in search of success but also the keys that unlock it for others. Coolidge’s political success is all the more impressive when it is remembered that he had few of the traits that conventionally propel the office seeker forward. To the contrary, he seemed to shun these “essentials” and thereby redefined the ground-rules for public service. 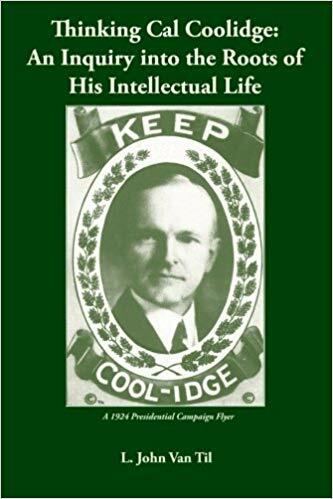 Coolidge illustrated that the typical terms of getting ahead are deficient by neglecting a very simple, unobtrusive fact: It was actually his silence that became the key of his success. Rather than wasting time – as he saw it – promoting himself, he could unassumingly work and prove his worth through being discreet. It was turning what for many would be a severe handicap into a brilliant asset. Bruce Barton, in one of his American Review of Reviews articles explaining “Silent Cal” to those unfamiliar with him, said it this way, “Office associates of Calvin Coolidge and acquaintances wondered how a young man so utterly lacking in self-advertisement could hope to succeed in the law. But there was no question about Coolidge’s knowledge, or his capacity for work; and gradually men conceived the notion that one who was so silent about his own affairs would probably exercise discretion in theirs. So his practice grew, and his neighbors began electing him to offices which nobody wanted especially, and continued to elect him to better offices, since he invariably made good…To do the job and to let the credit take care of itself, this was the rule of Coolidge. As more and more men began to understand it, the confidence of the common folk of Massachusetts grew; so that thousands who had never seen him began to feel a friendliness toward this unassuming man. His majorities were the envy of the professional politicians. He made few speeches, but those were extraordinary in substance and form…Elevated no powerful individuals, made no exaggerated claims or promises, kissed no babies, and spent no money. Every election found him more strongly entrenched. ‘Well, I sort of let nature take her course,’ Coolidge drawled. Cal’s rise serves as a reminder that it is the small things done well that line the road to success. Greatness lies in the little things in no less a proportion than large, loud personalities grappling with those same conditions. 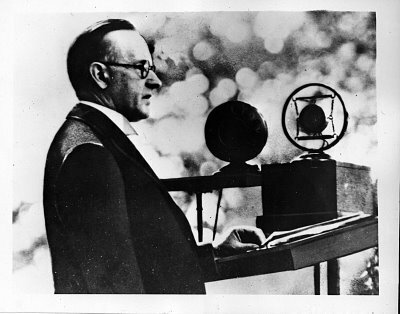 Above all, Coolidge succeeded by proving trustworthy, something that is nearly altogether discounted, marginalized and neglected in public affairs these days. He proved so not through devious calculation but through a sincere motive to serve those to whom he was accountable, the people who chose him for each office. It is no accident that success or failure goes hand-in-hand with earning and keeping that trust strong and unshaken. 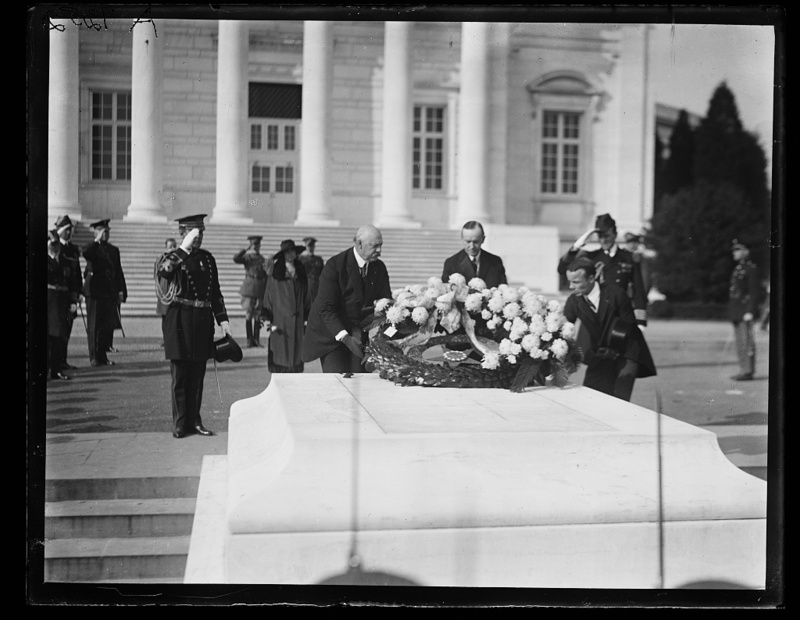 President Coolidge flanked by War Secretary Weeks and Navy Assistant Secretary Theodore Roosevelt, Jr., at the Tomb of the Unknown Soldier, 1923.